I was certainly inspired to make that 2016 prediction. My cup of optimism was overflowing and I was certain new and wonderful things were going to happen in 2016. If you followed “Friends” during 2016 and if you have seen our 2016 scorecard for our performance, you know the promise became reality. And, I am just as confident proclaiming 2017 will be a year even greater than 2016. And, still my New Year’s wish is that you will continue your support and experience the “joy” that comes with being a “Friend of Copey”. January 2017 will start off very busy with our two annual fundraisers: the Anne G. Broady Scholarship Fund and the funding support needed to assist the Board of Directors’ efforts to keep the one paid position, Executive Director of the Learning Center. These fund-raisers are significant and we have conducted both at the same time successfully each of the past two years. Also in January, there will be a major announcement! I have been alluding to some special news for several months and the time to share the news is getting very close. You will want to stay involved/connected and be apart of something very extraordinary. “Friends of Copey’s” Open Letter to the Learning Center’s Board of Directors will be shared next week. Stay tuned in to see what the new year has in store. 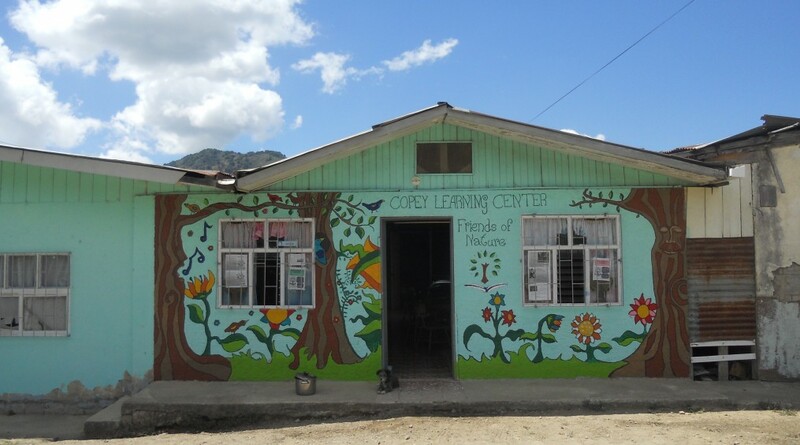 “Wishing to express my deepest gratitude to “Friends of Copey”, to our dear friend Arthur, the Foundation Anne G. Broady, the Emory & Henry College, for contributing directly to the Mission of Copey Learning Center is serving. God bless you always!” Seidy R.
This Christmas Greeting is my deep and heartfelt message to each of you during this wonderful holiday season. It is impossible for me to mail out a Christmas card to all of the “Friends of Copey” given the number of you involved and because I only have email addresses for most of you. So, please accept this as my Christmas Greeting and my wish for the very best for you and yours and my thank you for all you have done. In a few days the movie titled “Hidden Figures” will be showing up at our local theaters. This is a true story about Katherine Johnson and other females who made history because of their involvement with our country’s space mission. Katherine Johnson is my oldest living aunt (age 98) and I join the rest of our family and friends in congratulating Aunt Katherine for making her mark on our country’s history. It is wonderful her special and unique story will be out on the “Big Screen” for the world to see. You may recall my December 1, 2015 Post which reported on her receiving the well deserved Presidential Medal of Freedom from President Obama. We all are very proud of her, her husband Jim, and daughters Joylette and Katherine. And, we remember Aunt Katherine’s daughter Connie who passed away several years ago. Read the book and go see the movie. Thank you for sending your notes regarding our 2016 performance report and achievement of our goals. Much has been done…there is still much to do and it will only get done if you are part of the effort. Once again, Merry Christmas to each of you and thank you for being “Friends”. “Friends” the previous Post provided our scorecard for the Non-Financial Goals. This week, we are reporting on the 2016 Financial Goals listed below. We successfully achieved each one. Beyond these goals, additional funds were donated which allowed us to assist with some miscellaneous teaching material and supply expenses. Then recently, we successfully raised funds to support the travel expenses for Lorena, Mariana’s mother, to attend the National Spelling Bee Contest. Achieved by devo ted donors providing funds to support over 15 students in 2016. Achieved by devoted donors providing 60% of the funds and local “Friends” conducting a very successful “yard sale” to raise the remaining 40%. Achieved by “special friends” solely affiliated with Emory & Henry College. Only E&H Alumni or E&H affiliated donors were requested to support this project and their generosity was huge. We requested $3,600 and received $5,600 in donations. Our actual expenses totaled $3,600 leaving a balance of $2,000. This surplus of $2,000 remains in an E&H College account. These funds will be used to help with the travel costs for two more Copey students traveling to our campus in June 2017. Outstanding Results!!! Our successful track record for meeting “financial” goals is wholly attributed to each of you. “Friends of Copey” is very successful in both the non-financial and financial areas of our partnership. I can only repeat myself each week as I try to convince all “Friends” of the importance of our partnership and success we are having being “Friends” with the Learning Center. I wish everyone who reads these Posts will accept credit for being a part of this success. All of our goals (non financial or financial) can only be achieved by devoted “Friends”. We “pray”, we expect “positive results”, and we provide “financial support” when necessary. Simple formula for success! We are completing our third full year as “Friends of Copey” and I have much to share. In a few days I will issue my open letter to the Board of Directors, wish you a Merry Christmas, and share some very important news about 2017. Recently, I spoke with Seidy, Lorena, and a couple other members of the Board of Directors via Skype and I am 100% convinced the community is very grateful for our devotion to their mission. Below is a recent letter I received from Ana Yancy earlier in the month. I’m very grateful for the Board and Friends of Copey for supporting all my ideas and opportunities of improving the Center. Also I really appreciate all your recommendations during this time. 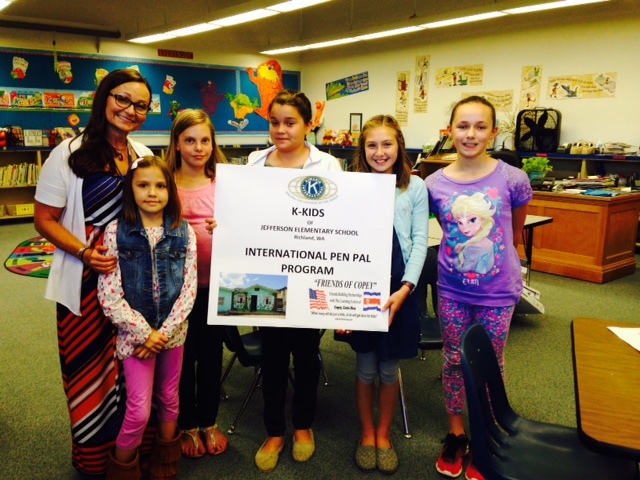 In September, we had 22 new enrollments. We are expecting all students to return and enroll more students next year. With the goal of establishing relationships with different organizations, a relationship with CoopeDota, an organization that produce/sell coffee in our region, was formed. They provided us with paint for the center, and free coffee tours for our students. I was able to get help from students, parents, and others from Copey to fix the Center and make it look better. We finished this year with updated files for all the students regarding their level of English; including final proficiency test and their final report. We had a meeting with the parents of our students to update them with our new norms and procedures. Later this week, we are going to have a meeting with local teachers to improve our curriculum for next year. For 2017, we are hiring 3 volunteers to better the quality of our classes. We are selecting our two students for the US trip. During our 2016 graduation, we had a 100% participation of all students and their parents. We also had our obstacles since I have started. However, we were able to work through our challenges. Since my time in Copey Learning Center, it has been a great experience for me; both personally and professionally. The 2016 year has been a tremendously successful year for “Friends of Copey” and its relationship with the Copey Learning Center. Our support role with the Learning Center includes the development of partnerships for the purpose of helping support the mission of the Learning Center. Have we successfully set up partnerships? Absolutely we have! Hidden behind the various photos below are many stories about people and organizations supporting our efforts. Hopefully, many of the details describing all this support will come out as we spend the next several weeks reviewing our very successful year. Today, take comfort in knowing that somewhere behind one or more of these photos, you can be seen standing tall as a “Friend of Copey”. You can be assured that you have helped in one or more of the many ways we have partnered with the Learning Center. You are part of this amazing story and I thank you.